The Club Med Sandpiper Bay is a kid-friendly all-inclusive resort. Located in Port St. Lucie, in the southeast part of the Sunshine State, Club Med Sandpiper Bay is a European-style all-inclusive resort and part of the family-friendly Club Med brand. It is located about two hours north of Miami and two hours southeast of Orlando. There are great kids' programs available for children ranging in age from babies through teens. While many resorts limit their supervised activity programs for potty-trained kids 3 and up, Club Med is also a boon for families with babies and toddlers. Programs start for babies 4 months and up and run all the way to 17 years. While Port St. Lucie is located on that Atlantic coast, this is not an oceanfront resort. Instead, Club Med Sandpiper Bay is set along the Port St. Lucie River. It has a sandy beach, multiple pools, and circus-style trapeze lessons, plus a spa and a fitness center. Club Med has legit bragging rights for several family-oriented sports academies offering instruction for adults and kids in tennis, golf, swimming, and volleyball. Fitness classes are also offered. Club Med Sandpiper Bay is a large property on 216 acres. The property includes four swimming pools, including an adults-only infinity pool and a lap pool. The Fitness Academy is for grown-ups, and for kids as young as four years old. Junior Fit programs use a team approach. Guests can also enjoy yoga, a fitness room, and spa treatments. The Club Med Golf Academy offers training for all levels. The resort is home to an 18-hole golf course, a Tom Fazio II designed practice facility, a putting green, clubhouse, and driving range. Guests can take free group lessons and kids from age 4 get initiation sessions in the kids' club. Tennis Academy programs include Le Petit Tennis for 4 to 7 years old, Junior Tennis Initiation for ages 8 to 13, and an all-inclusive Adults Program for different levels. Club Med Sandpiper Bay is also home to a new type of Club Med venture: a special Elite Tennis Academy where young athletes live and train on the property. Baby Welcome: part of the all-inclusive experience at Club Med, "Baby Welcome" provides families with highchairs, cribs, strollers, bottle warmers, bathtubs and more -- baby gear will be waiting in your room when you arrive. The main restaurant has a Baby Corner with baby food and utensils; a Baby Feeding Room is open 24 hours a day, with all the needed gear for preparing meals. Baby Club Med: parents must register and pay and extra charge for this service, which includes an evening Baby Restaurant where babies and parents can have dinner together. Baby Club Med is for tots age 4 months to 23 months old. Petit Club Med: likewise, parents must register in advance and pay an extra charge for this club for ages 2 - 3 years old. Club Med Passworld: for ages 11 to 17 years where they can explore sports, creative crafts and join together for a movie night. 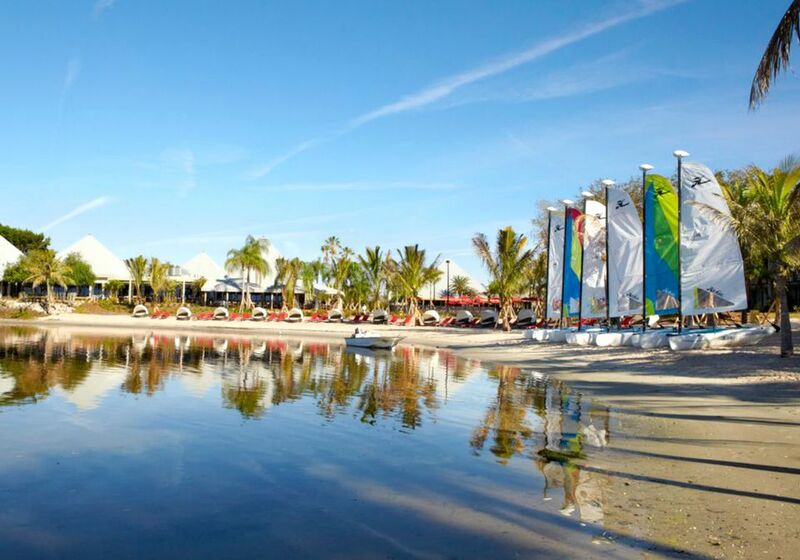 There always seems to be a sale going on at Club Med, often with savings of up to 45 percent. Bottom line: You should never pay full price.